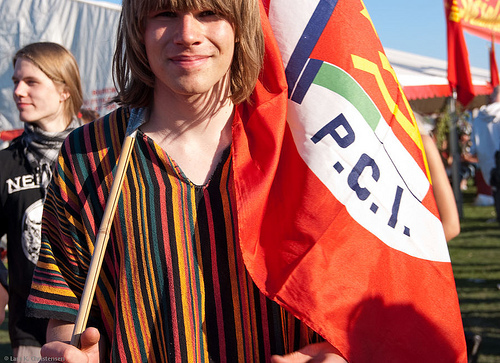 Lots of sunshine, red banners and festival atmosphere in Copenhagen. More photos on Flickr. Sorry, this entry is only available in Danish. To read it in that language, please select “Dansk” in the top menu.